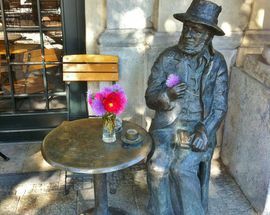 Always sharply dressed in hat and suit and brandishing fresh flowers, the bronze Piotr Skrzynecki is Vis a Vis bar's most loyal customer, so loyal that he exhibits total disregard for opening and closing times. 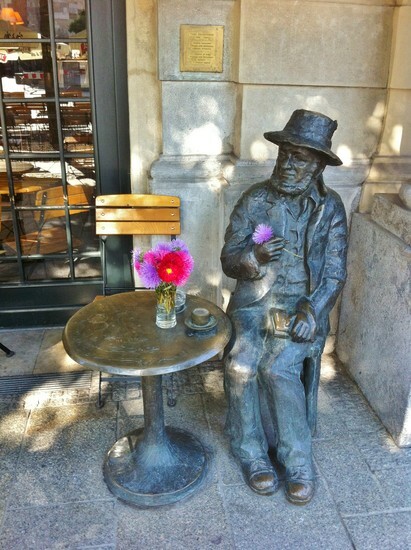 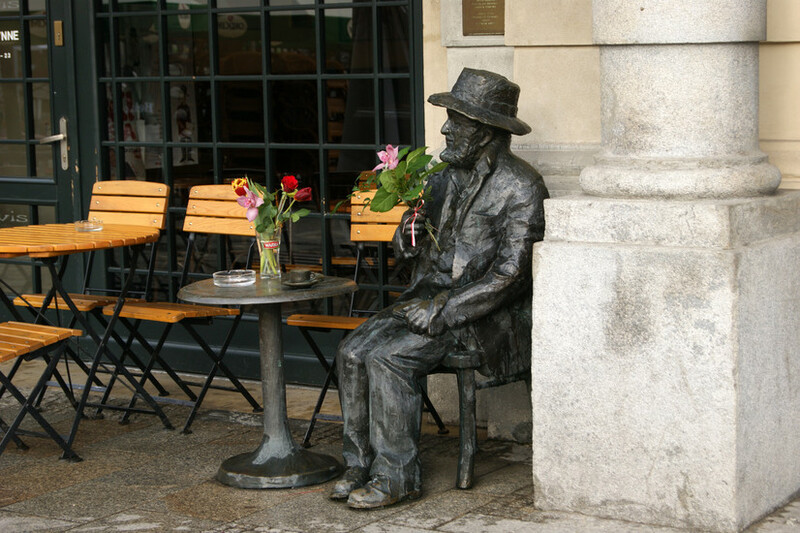 Sitting out front at his own little bronze table - a favourite spot of the real flesh-and-blood Piotr Skrzynecki - this fella is just a few doors down from Piwnica Pod Baranami, the legendary literary and political cabaret he founded in 1956. 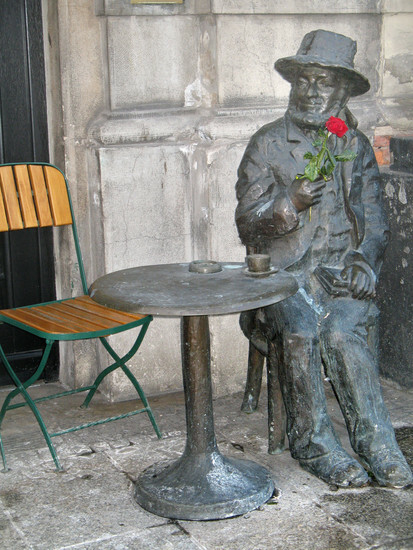 Until his death in 1997, Skrzynecki was an essential component of the Cracovian - and Polish - art scene, directing films, screenwriting, acting as Piwnica Pod Baranami's conférencier, critiquing art, organising unusual cultural events, and being an all-around eccentric known for his far-out birthday bashes, always the talk of the town. 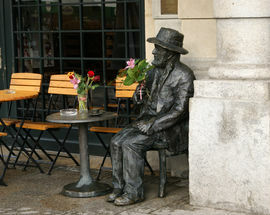 This monument to the artist, the work of Grażyna Borkowska-Niemojewska and Łukasz Niemojewski, was commissioned by music producer and composer Zbigniew Preisner and unveiled in 2000. 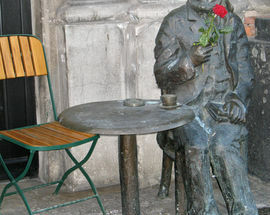 A second monument dedicated to Skrzynecki, this time portraying him with a lady acrobat perched on his shoulder, is located in front of a hospital at ul. 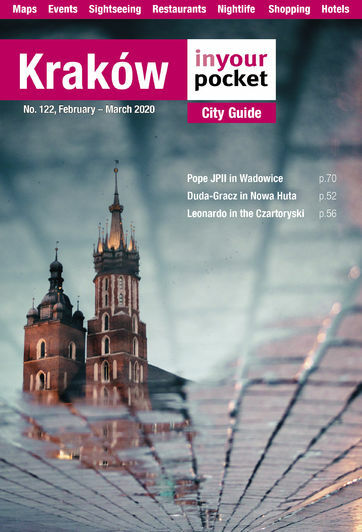 Skawińska 8.